Travel through your senses. All photos courtesy of The Funnelogy Channel. Gabriella Zanzanaini and Nicolas Petit of The Funnelogy Channel, one of Fathom's 24 Best Travel Blogs and Websites of 2015, spent summer in Provence and, like most who must return from the region, dream about being transported back. 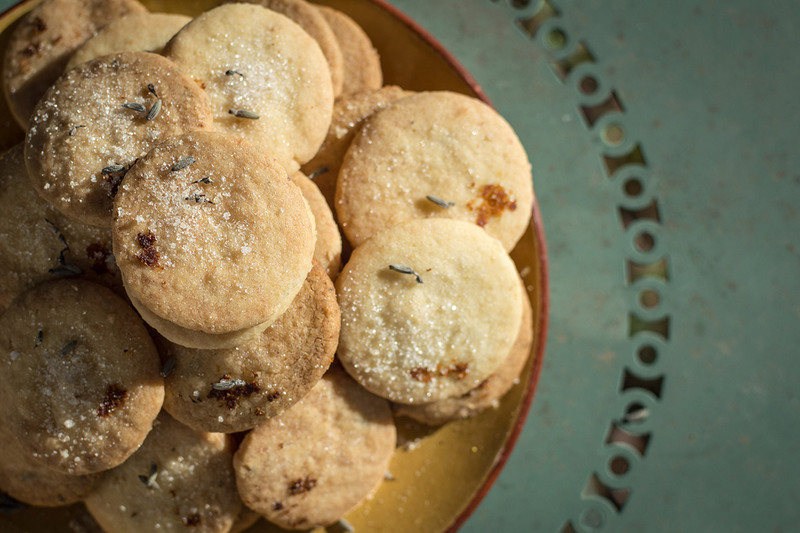 Here, they recreate the smell of southern France with a recipe for lavender lemon shortbread. PROVENCE – If you ask me to close my eyes and think about summers in Provence, I would first tell you what I hear. There is a constant buzzing. The cicadas have worked themselves up into a frenzy, the bees are excited by all the sweet melons and peaches on the table, there is laughter of young children in rivers and pools. Silence approaches as the sun goes down and the evening breeze rustles the dry vine leaves and tall, slim cypress trees. And suddenly all you hear are stars blinking in the night sky. It gets hot after breakfast. So hot that the midday sun sears my skin and simmers everything I can smell. Rosemary, thyme, tomato leaves, and lavender. 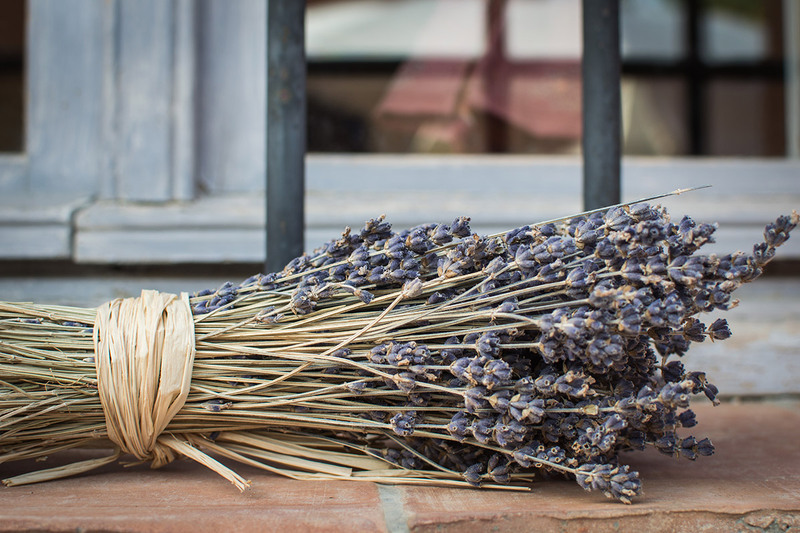 There is nothing more defining of Provence than lavender. That, and raw milk cheese. Row after row, lavender fields line the rolling hills as far as the eye can squint in the bright light. Pops of vivid violet blooms look like a tidy knitted sweater wrapping the summer hills, wildly indulgent in this heat. I am determined to make something to remind me of this gorgeous provençal purple. We grab lemons, a few sprigs of rosemary, and lavender from the garden and come up with the perfect accompaniment to afternoon tea. With the addition of warm butter and sugar, the kitchen smells like the Provence I know and love. By now the cicadas have joined in, and the air smells warm, citrusy, and sweet. 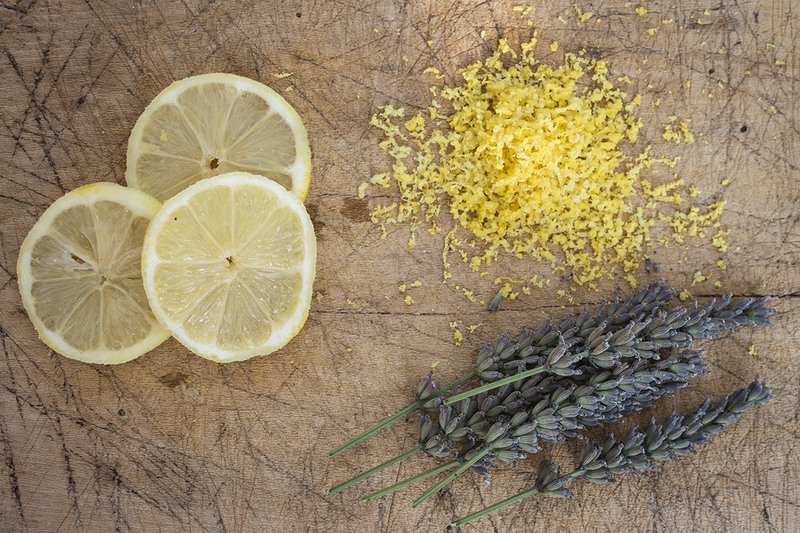 Lemon and lavender. Provence essentials. 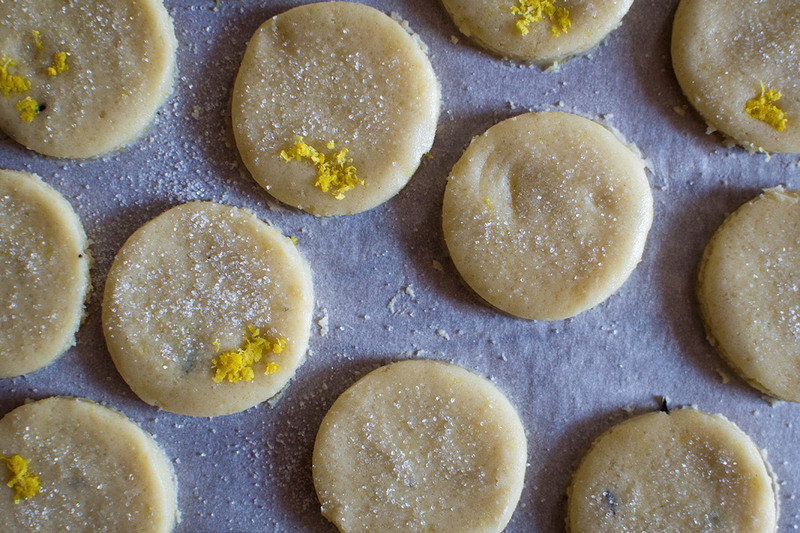 These shortbreads fill your kitchen with the scents of Provence, and their melt-in-your-mouth texture will make them difficult to resist. Keep them hidden if you don’t want to share. Makes 30 to 40 shortbread biscuits. Sugar scented with rosemary and lavender. 1. 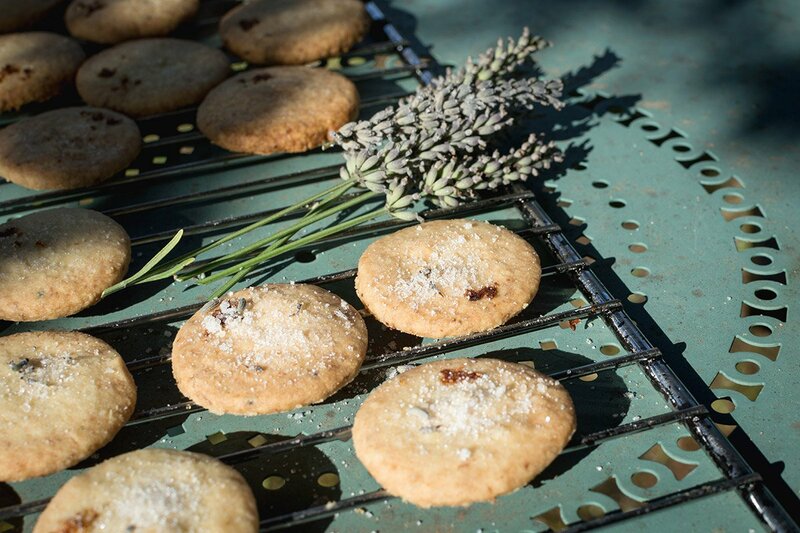 A couple of days before you want to make the shortbread, prepare the lavender sugar. Take a small bowl and place the lavender stalks or flowers together with the rosemary. 2. Cover the flowers with 80g of caster sugar. Leave the bowl covered with cling film or aluminium foil in a cool place. Do not worry if the sugar begins to absorb some moisture and becomes slightly clumpy, it will blend smoothly into the batter. 3. When you are ready to use the sugar, remove the stalks. It's okay if some of the detached lavender flowers remain in the sugar. Extra flavor! 1. 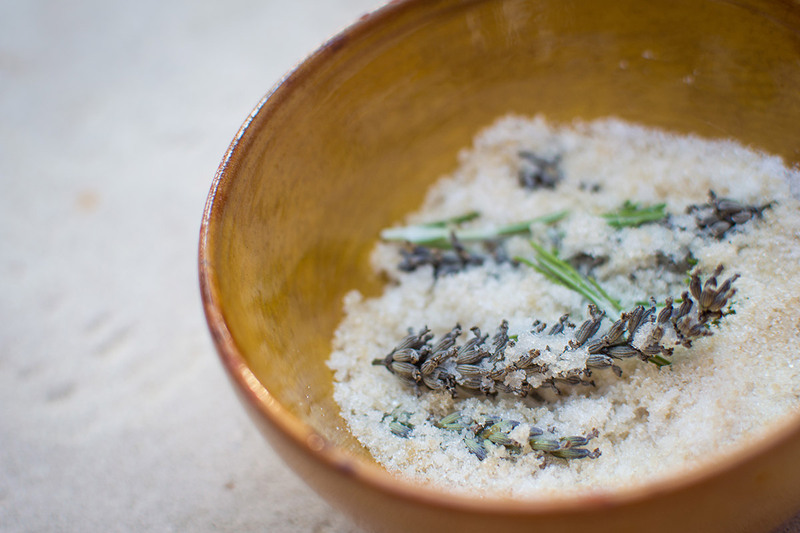 Blend the softened butter with the prepared lavender sugar until smooth. Mix in two-thirds of the lemon zest and the almond essence. Sift the flour and salt into the batter and blend on low speed until well mixed and a soft dough begins to form. 2. Form the dough into a ball and wrap in a tea towel or cling film and place in fridge to chill. Chill for at least 30 minutes. It can also be left overnight in the fridge if you prefer to bake them the next day. 3. Preheat oven to 165°C degrees. 4. 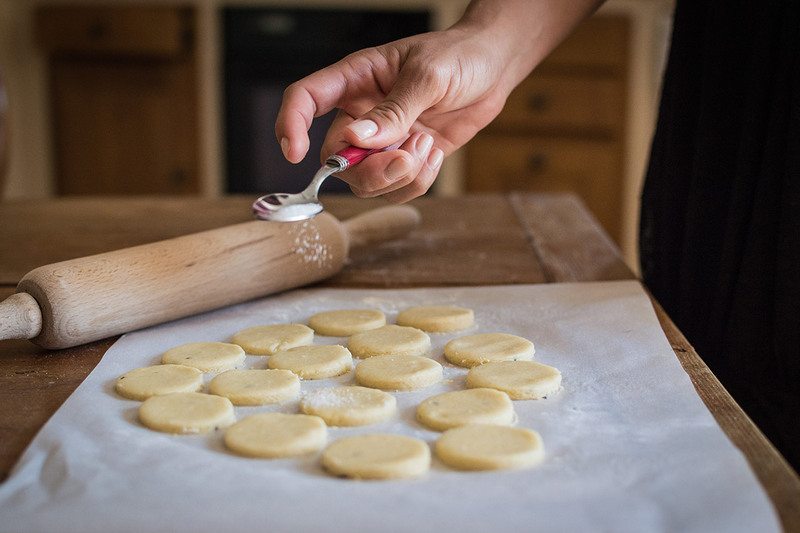 Roll out dough to 0.5cm thickness with a little flour on your work surface to prevent sticking or between two sheets of baking paper. Cut dough into rectangles or circles, whichever you prefer. Cutting into 5cm diameter circles yields 40 biscuits. 6. Bake for about 10 minutes or until lightly browned and golden. This story was edited for clarity and republished with permission from The Funnelogy Channel. Gabriella and Nicolas are the food and travel storytellers behind The Funnelogy Channel, one of Fathom's 24 Best Travel Blogs and Websites. They recently completed a one-year overland journey from Brussels to Hong Kong. Follow their journey on Nicolas Petit Photography, and on Facebook and Instagram at @thefunnelogychannel. They travel for the heart, for the mind, and to take the time.